The City of College Station has many valid reasons for recommending that we stop adding fluoride to our drinking water supply. The city council has received our recommendation and will seek public input on Thursday as part of its budget hearing. The regular meeting starts at 7 p.m. at city hall. The council will make its final decisions on the proposed city budget on Sept. 22. 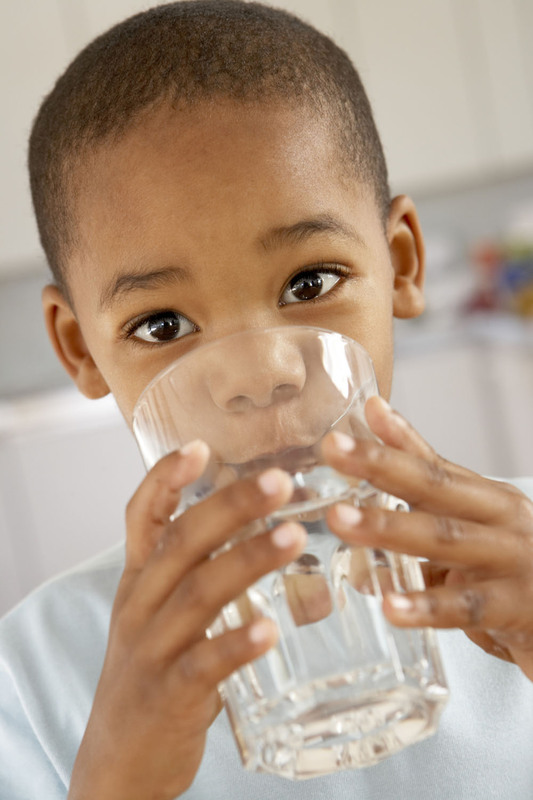 For more than 50 years, the U.S. Public Health Service has endorsed the practice of adding fluoride to drinking water for dental health at doses of 0.7 to 1.2 milligrams per liter. College Station began adding fluoride to its drinking water in the late 1980s through a grant from the Texas Department of State Health Services, which was then known as the Texas Department of Health. Although adding fluoride is a recommended practice by the American Dental Association and the American Water Works Association, it is not required. The City of Bryan has not added fluoride to its water for several years. In January 2011, the Department of Health and Human Services proposed lowering the recommended level of fluoride in drinking water to 0.7 milligrams per liter. Our water comes from deep wells and naturally contains a fluoride concentration of approximately 0.4 milligrams per liter. If College Station stopped adding fluoride, the city’s water would still have more than half the recommended level. In addition, individuals can reach the recommended level of fluoride by using fluoridated toothpaste, over-the-counter fluoride rinses, and fluoride treatments from dentists. Many studies have shown that this topical application of fluoride is more effective at strengthening tooth enamel than the systemic ingestion of fluoridated water. Our water source also has a naturally-high salt content that prevents us from using additives such as sodium fluoride, which would increase the salt content. 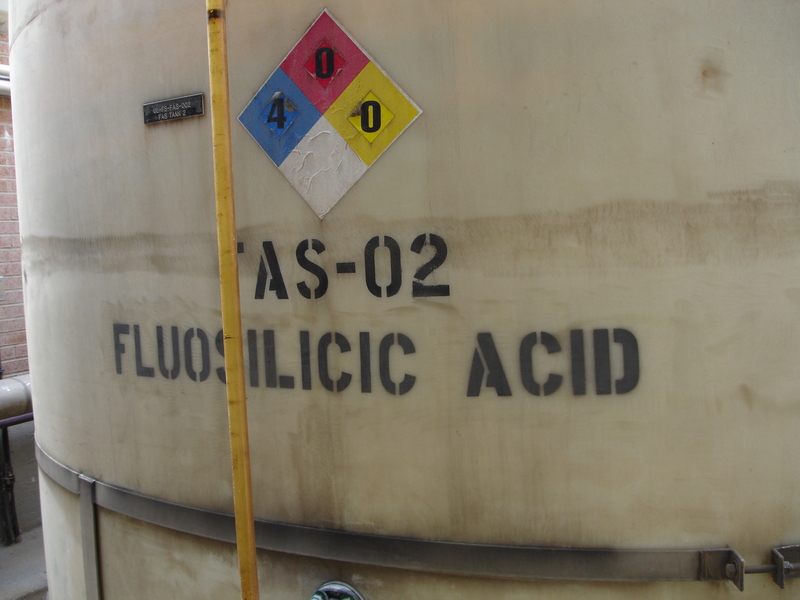 Consequently, College Station must add fluoride by using fluorosilicic acid, a highly-corrosive and hazardous chemical that puts our employees at risk when they fill the fluoridation system or make repairs. A final but important point is that adding fluoride to our drinking water costs more than $40,000 each year. When our current budget process began, the city manager challenged staff to identify all programs that are not mandated by regulation or otherwise essential. Fluoridation clearly is in that category and was subsequently listed as a potential budget reduction for Fiscal Year 2012. In summary, our experience has been that for every person who supports the addition of fluoride to the drinking water, another person opposes the practice. Given this lack of consensus and the other factors mentioned in this blog, we believe that mass medication in the form of fluoride is not warranted. This entry was posted on September 7, 2011 by City of College Station. It was filed under Public Communications, Water Services and was tagged with fluoridation, water. Topically applied fluoride (toothpaste, rinses and fluoride treatments) have no effect on the forming enamel of infants and young children prior to tooth eruption. Fluoride must be systemically (i.e ingestion) delivered to facilitate successful effectiveness on developing and maturing enamel. Community Water Fluoridation is listed as one of the top 10 Public Health Accomplishments of this century for it’s proven effectiveness and low cost in preventing oral disease. State agencies will spend 100 times the $40,000 providing restorative care to these kids in the future. Community water fluoridation can decrease dental decay by up to 60% when delivered at the critical times during infancy and early childhood. How can any administration, in good conscience, make a choice that could cause College Station children signficant oral disease? We will all pay the bill to pay for the restorative care that will be necessary in a few years. Ms Wood, You are misinformed. Dentists and the ADA have claimed for decades that topical treatment is the only effective method of delivering fluoride to the tooth, because enamel forms only on the outside layer of the tooth, and only fluoride treatment of that part of the enamel exposed to food acids is effective at reducing dental carries. If your claim were true, then dentists would not be pushing so hard for their patients to use mouthwashes, toothpastes, and get dentist chair topical fluoride treatments. It is impossible to get fluoride at 1ppm in drinking water to concentrate at the tooth in any measurable concentration, by ingestion. The human body has many filters, soft tissue in the digestive tract, kidneys, liver, and other organs, that absorb fluoride long before it makes it to the area where teeth are formed. If your claim were true, then most Western countries that do not fluoridate their water would have measurably worse dental health, for example most European countries, and that claim is completely false. The fluoride industry has sold us a bill of goods. It would do you and your family much good to investigate both sides of the fluoride story, the pro’s and the con’s. The ADA most certainly has not even tried to present both sides of the fluoride story, and the fluoride industry itself has done its best to squash any negative news about fluoride. Please look up Dr Phyllis Mullenix, and her work on neurotixicity of Fluoride compounds, and how her work, and career were destroyed by the fluoride industry. It’s an eye opener. I just found this conversation here just recently, these people’s points of view are interesting, I was just posting some quotes from a quick google search and wanted to share. Maybe I can save someone else some time! “This new information led Dept. of Health & Human Services to propose changing the recommended level for community water systems to 0.7 milligrams per liter. The current recommended level is a range of 0.7 to 1.2 milligrams per liter. An announcementExternal Web Site Icon about the proposed changeExternal Web Site Icon was published in the Federal Register. Public comment on the new proposed optimal fluoridation level is being sought and may be provided for 30 days. Comments will be considered by HHS in finalizing a new recommendation for community water fluoridation in the United States. How were the recommended levels previously set for fluoride in drinking water? In 1962, based on scientific studies showing that fluoride reduces tooth decay, the U.S. Public Health Service recommended the amount of fluoride in drinking water range from 0.7 to 1.2 milligrams per liter. Scientists set the range by taking into account different levels of children’s fluid intake according to the average annual temperature in different regions of the United States—less fluoride was added in warmer, southern climates where it was believed that people drank more water, and more was added in cooler, northern climates where it was believed that people drank less. Over the past several decades, many factors, including the advent of air conditioning, have reduced geographical differences in water intake. termed demineralization. As saliva travels over the tooth it can neutralize the acid and allow for remineralization of the calcium and phosphorous. The cariostatic mechanism of fluoride has yet to be fully understood, while others question if there is indeed any cariostatic effect. Fluoride reportedly has two topical effects on cavity prevention. It was always assumed that fluoridated drinking water had a systemic effect by incorporation into the dental enamel. Most dental researchers today believe the mechanism of fluoride is due to a topical effect (23). To me, it seems like College Station made a good decision.. Saved some tax money! Fluoride lowers IQ. http://fluoridealert.org/studies/brain01/ It is poisonous. If you swallow a big glob of toothpaste, you should contact poison control immediately. I do my best to avoid it at all times. I have a master’s in psychology and am less than a year from getting my PhD in neuroscience, and feel competent in reading scientific literature. However, I would never try to force someone to not use it. It is their choice and I would just try to convince them, not force them, to not use it. It is offensive that someone would try to force me to use a medicine they believe in. I’m throwing them in the garbage today! This is good news! !